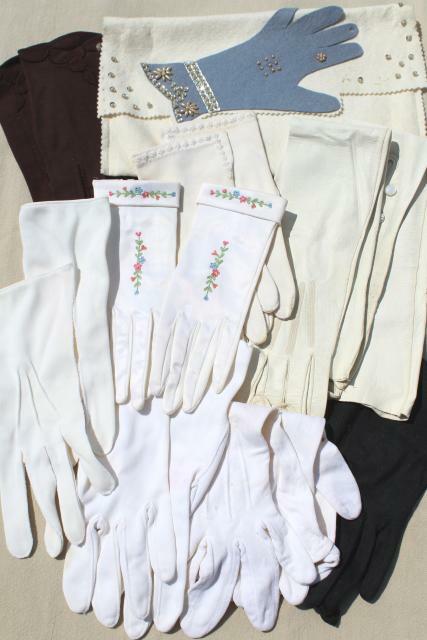 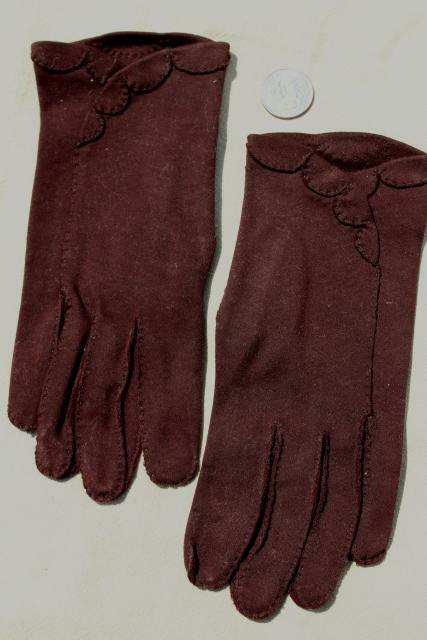 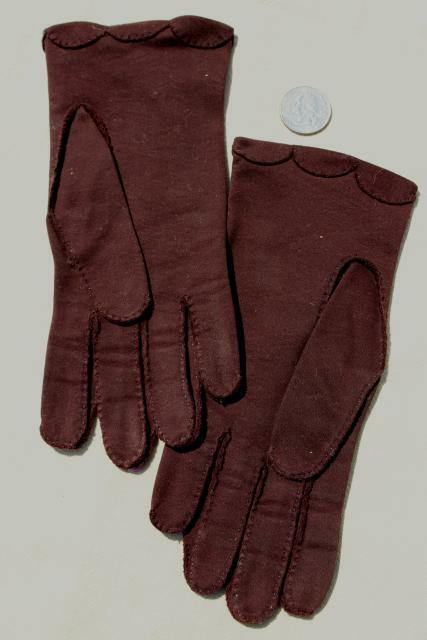 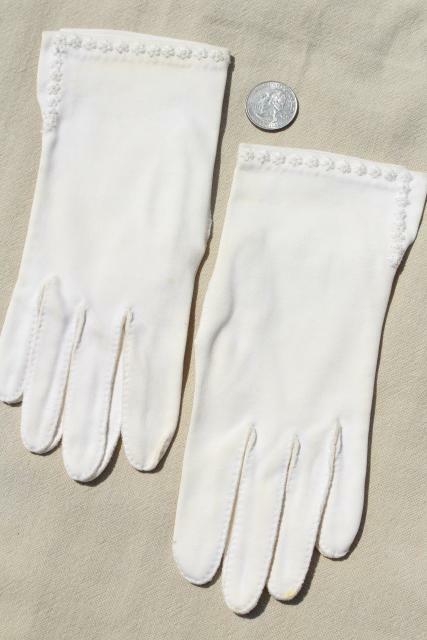 Estate lot of ladies gloves, 50s and 60s vintage. 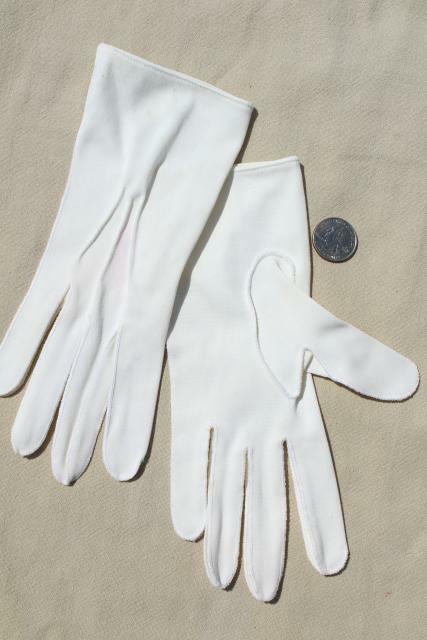 These make lovely photo props, or dress or costume wear if you have small fine hands. 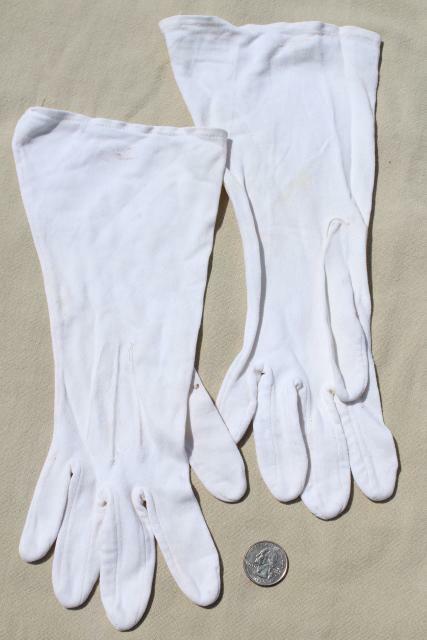 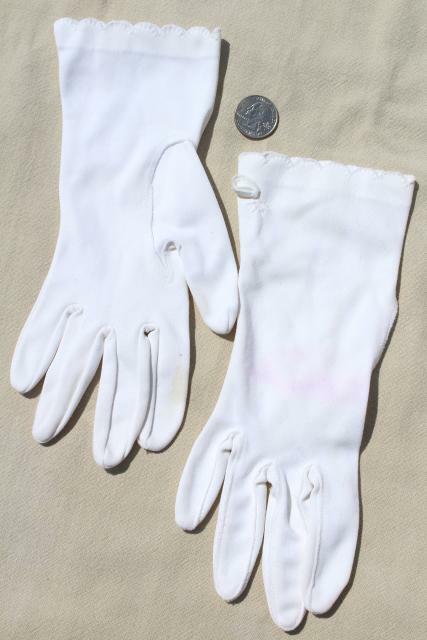 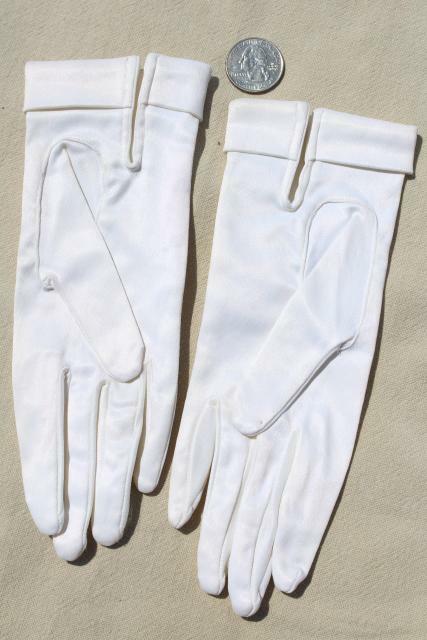 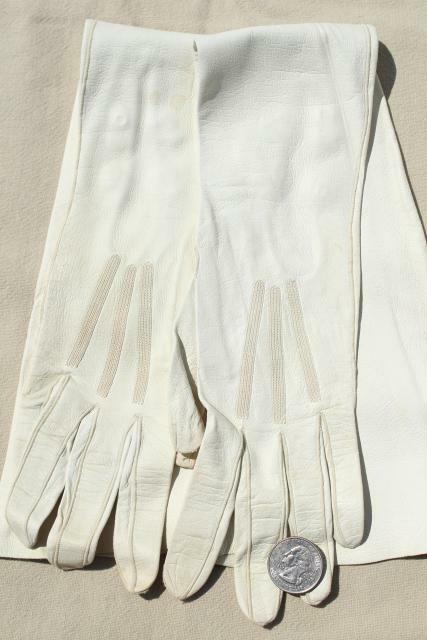 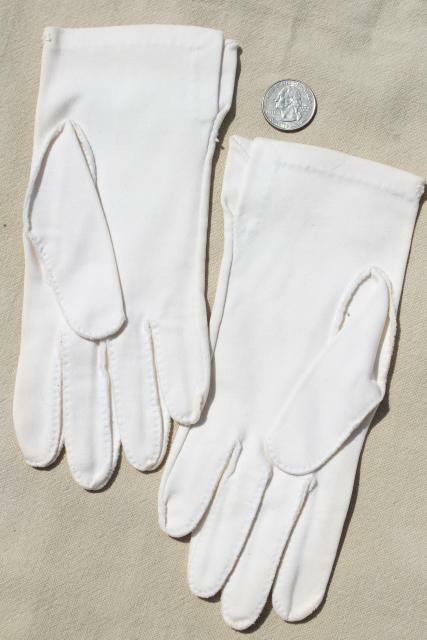 One pair is white kid elbow gloves (21" long fingertips to the end), very nice. 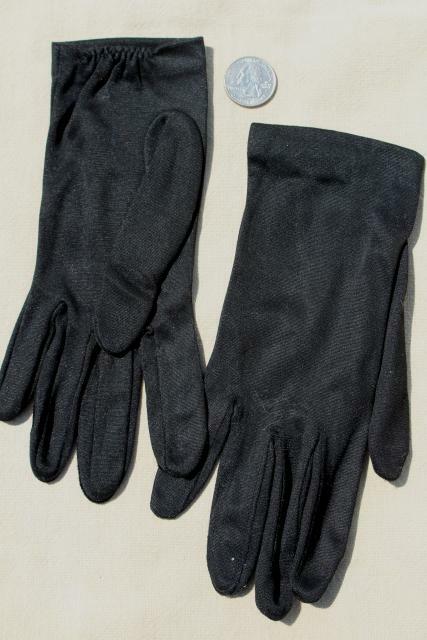 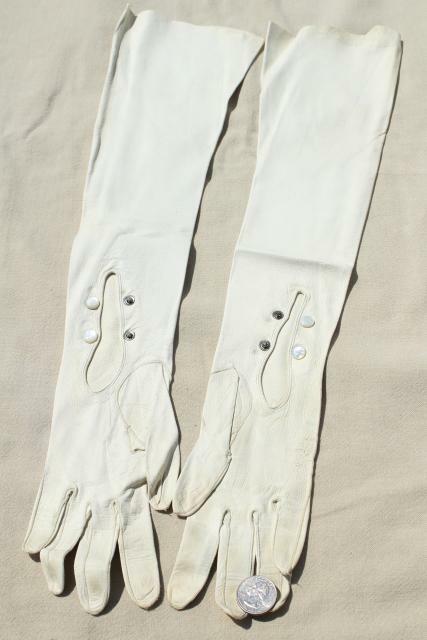 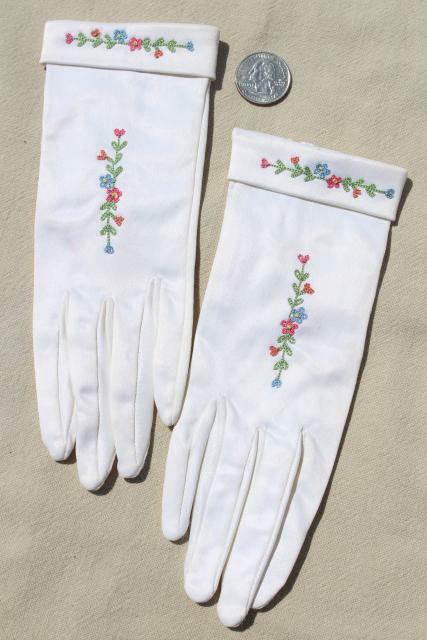 The others are mostly cottony everyday dress gloves, worn, some spots. 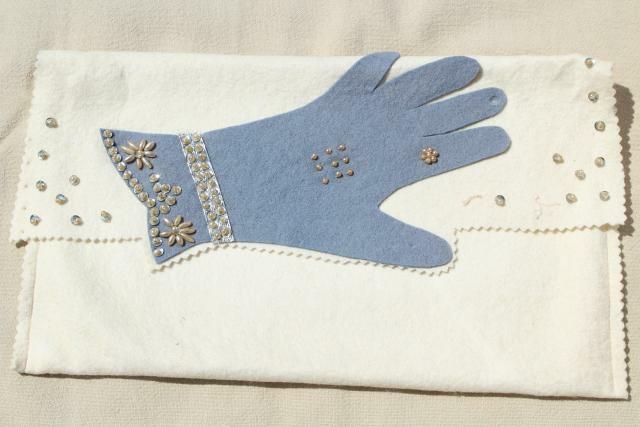 Cute little felt glove bag is included.